New restaurants have a notoriously short life expectancy. And it’s no secret that we’re in a difficult economy. 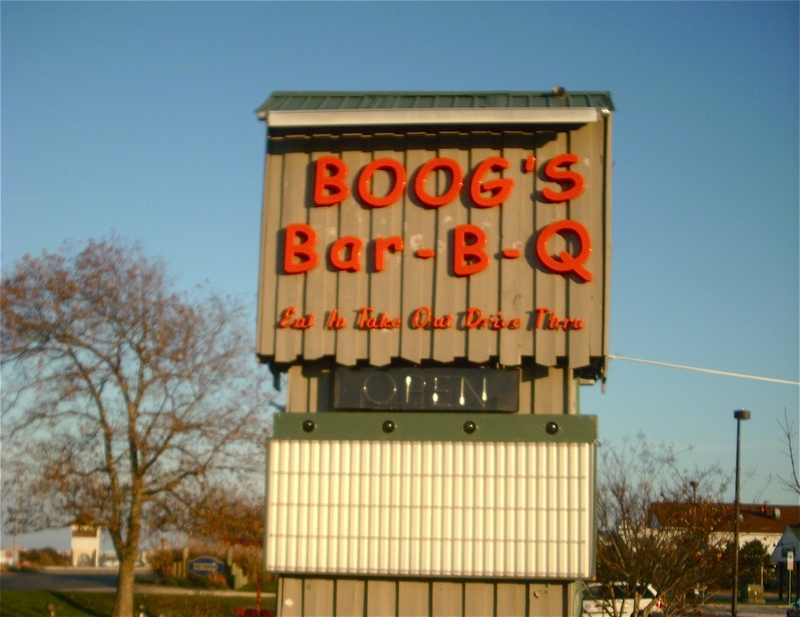 But I figured that Boog’s Barbeque on Route 50, just outside Ocean City, MD, would be a home run, or at least a solid hit. Boog’s Barbeque has been thriving on the Boardwalk, next to Thrasher’s, for years. And it’s long been well-established at the ballpark in Baltimore. 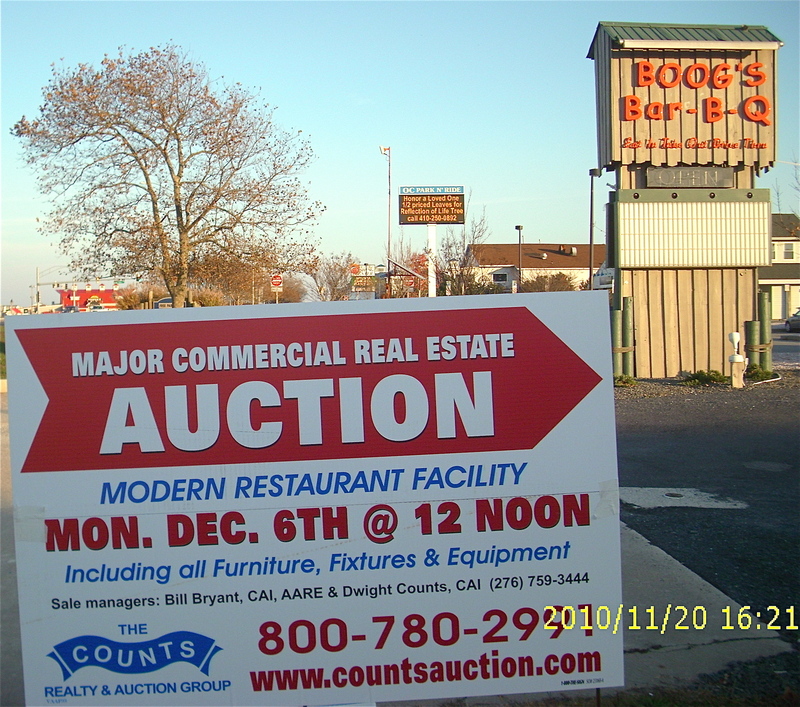 But after only one season, the Route 50 location is closed, and a foreclosure auction will be held at noon on Monday, Dec. 6, 2010, at the nearly new Boog’s Barbeque building, 12842 Ocean Gateway. The sale will be conducted by The Counts Realty & Auction Group. For full information go to www.countsauction.com or call 800-780-2991. 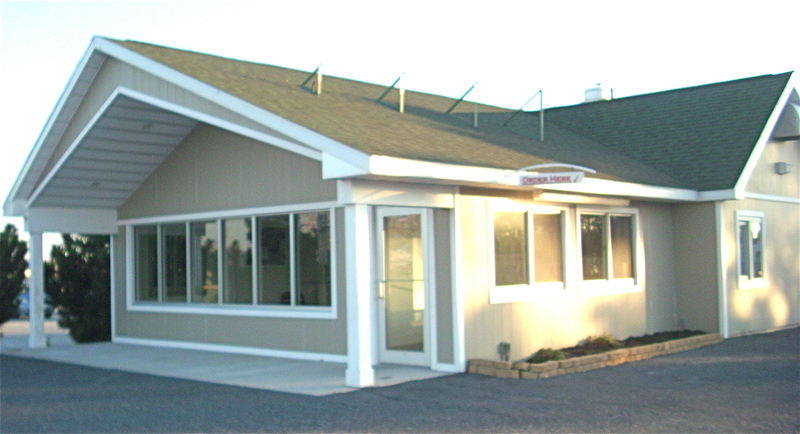 The drive-in, named after Boog Powell, the former Baltimore Orioles first-baseman, opened in the fall of 2009, and operated through the 2010 summer season. It has a prominent location on the south side of Route 50, in sight of the Route 50 bridge. You can’t miss it. Perhaps many travelers have already stopped for lunch at the Bay Bridge, or in Easton, Cambridge or Salisbury. Maybe by the time they get this close, they just want to get across the bridge to the boardwalk and the beach. Who knows? Go figure. Far as I know, the other Boog’s Barbeque locations are doing fine.